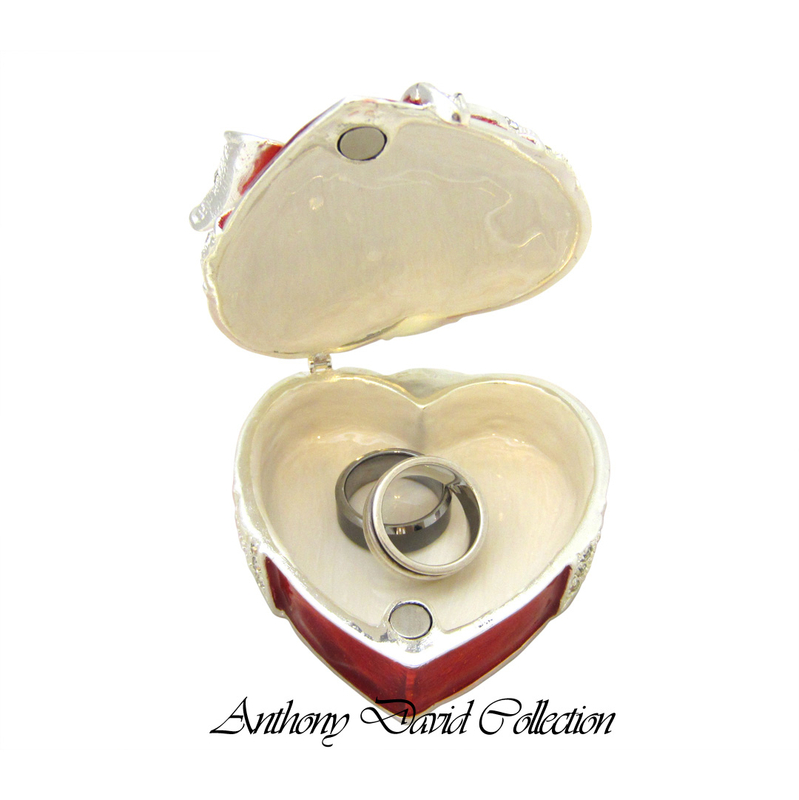 This Red Heart Trinket / Keepsake Box is made of solid pewter with a silver plated finish. 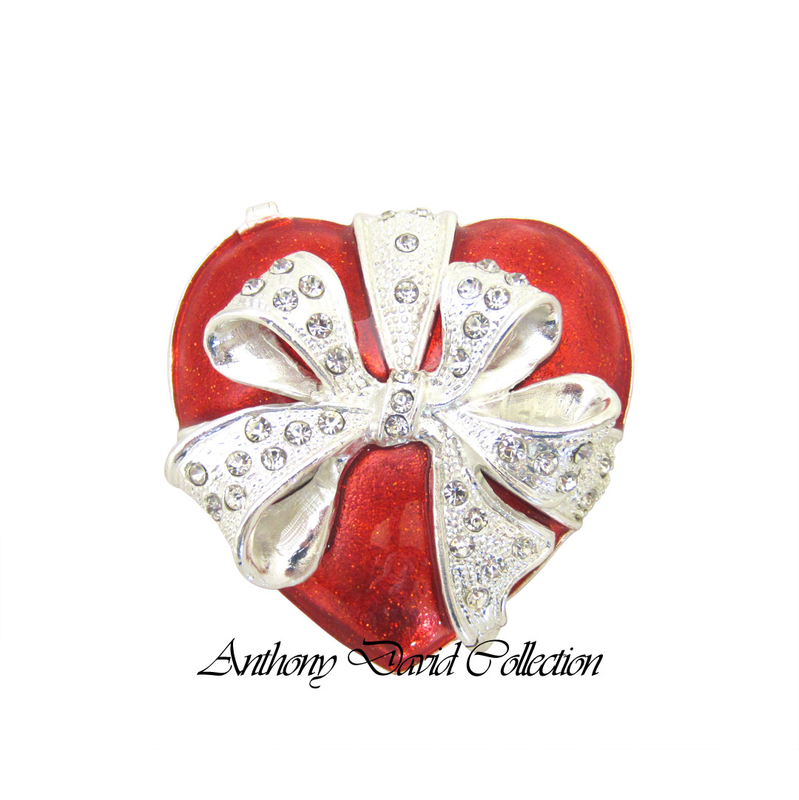 The top has Austrian crystals detailing with a red enamel finish. 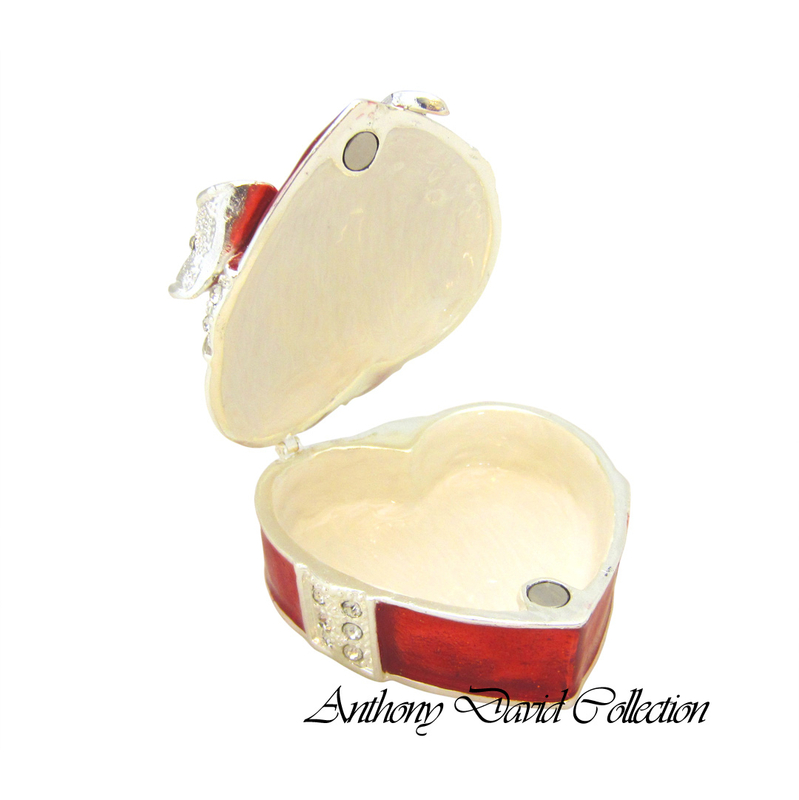 The interior is hand painted with a white enamel finish and is big enough to fit small jewelry items. 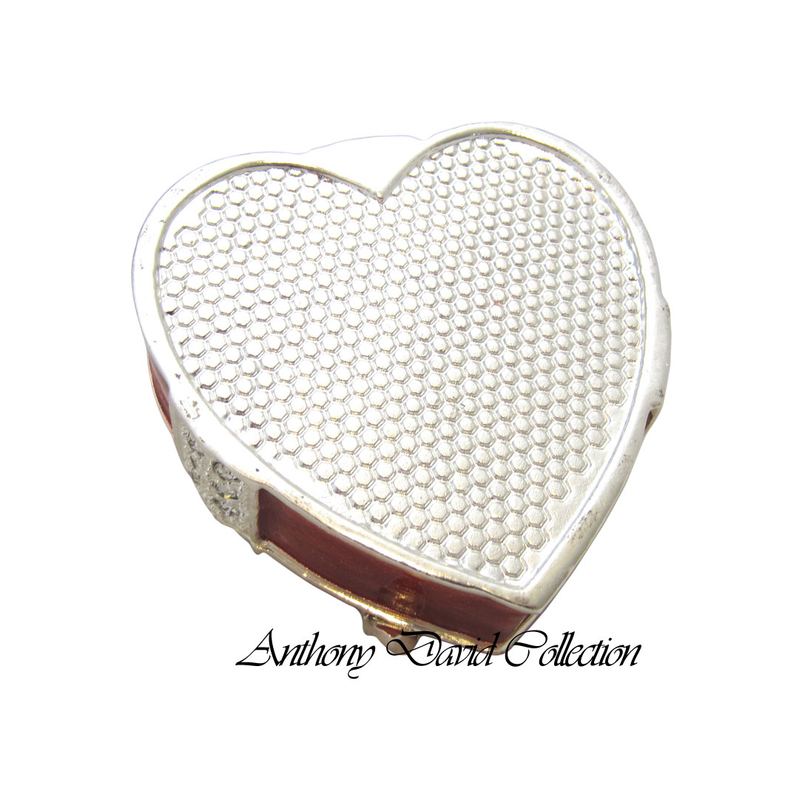 This is the perfect wedding accessory, gift item, valentines gift, trinket box or keep sake box. Made of solid pewter with a silver plated finish. Hand painted with a colorful red enamel finish. See all of our trinket boxes.